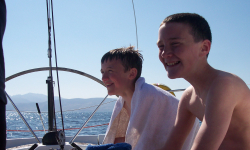 Each year about 4,500 people apply to the RYA for a RYA / MCA Commercial Endorsement in order to legally use their qualifications professionally as skipper or crew. The Professional Practices and Responsibilities (PPR) Certificate is required if you need a Commercial Endorsement. Who Needs The PPR Certificate? 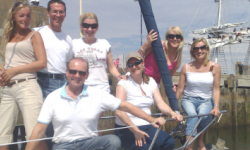 All new applicants for a Commercially Endorsed RYA / MCA Certificate of Competence must first pass the PPR Course. Anyone renewing a Commerical Endorsement must pass the PPR Course prior to their next renewal date, if they haven't already done so. If you hold an MCA Deck Officers' Certificate of Competence, as Officer of the Watch (OOW), Master 200, Master 500 or above then you do not need to take the PPR course. When applying for a Commercial Endorsement please send a copy of your MCA Certificate with your application or renewal form. The course is compatible with PC / Mac / iPad and can be completed in around 6-8 hours. 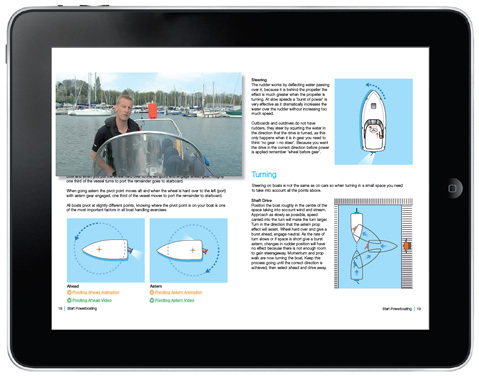 Full RYA Instructor support is provided where required, although this course includes all online resources required to learn and complete through self-learning. The course is made up of e-learning on commercial maritime topics e.g. 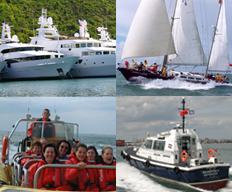 laws and regulations, risk assessments, qualifications and certifications for staff and vessels, and safe working practices. These will be followed by quizzes to check your knowledge. When you have completed there is an online assessment which is to be completed, where upon completion you will be able to download your PPR Course Completion Certificate. You can book this e-learning course through the online booking page. You will receive your login details via e-mail, and you can start immediately. Only £35 Deposit to Book Your Online Course - Get Your Login Details and Start Right Away! 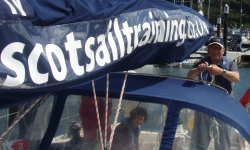 For Sailing Courses, it's Just £49 Deposit to reserve a place on any 5 Days/Nights RYA Day Skipper Sailing Course with ScotSail® - it's 5 Nights / Full Board (Mon-Fri) inc RYA Tuition, Certification, All Safety Equipment, 5 Days 24hr Secure Parking at our dedicted Largs Yacht Haven centre - and you can choose any RYA sailing course from Competent Crew, Day Skipper, Coastal Skipper or Yachtmaster® Prep. 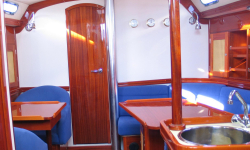 Our multiple modern cruising yachts depart every Sunday at 1800hrs, with our experienced RYA Yachtmaster® Instructors and up to five people (individuals, couples & families), on-board. Each night is spent at a different island / marina, before returning on Friday for about 1500hrs. Calls cost 4p/min from UK landlines (01/02). Mobile operators may charge more.